To view a full sized picture, just click on the thumbnail image. 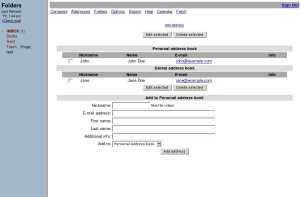 The first screen presented to the user is the login screen where they enter their username and password to log into the IMAP server. 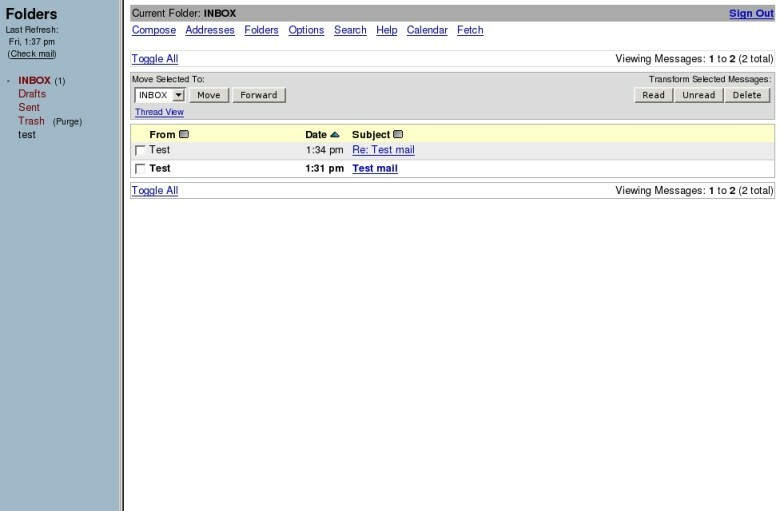 After the user logs in, the first folder that is opened is the INBOX. This is the summary of the INBOX folder with the message listing on the right, and the folder listing on the left. The folder list (left) and tool bar (top) are always present inside SquirrelMail for easy navigation. One of the most common tasks performed by an email client is actually reading messages. 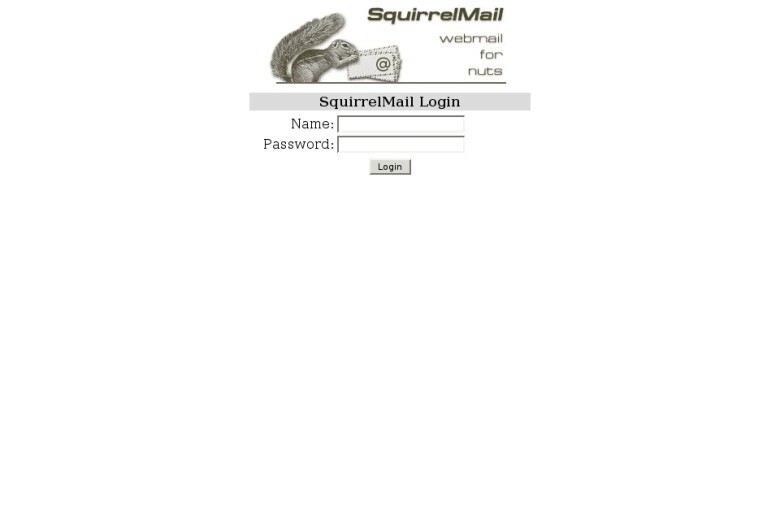 This is the message reader for SquirrelMail. It is designed to allow unobstructed and easy reading. Since IMAP folders are stored on the server, it is also essential to have a proper folder management utility. 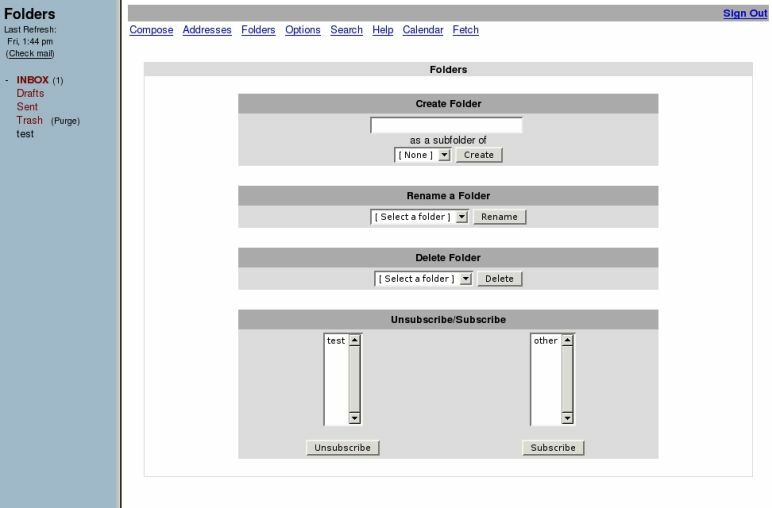 SquirrelMail supports all the necessary functions used when managing folders: create, delete, rename, subscribe, and unsubscribe. 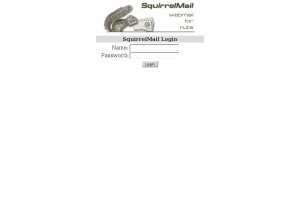 SquirrelMail is highly configurable. There are five main configuration sections included in the base distribution. Plugins can also create option sections that integrate seamlessly into the rest of the options. 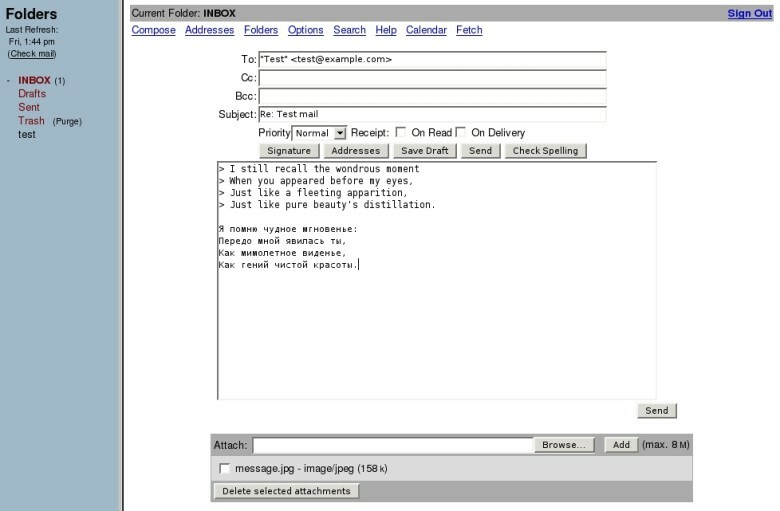 When composing an email inside SquirrelMail, all the necessary features are within reach. The compose screen allows for spell checking, attachments, and priorities. 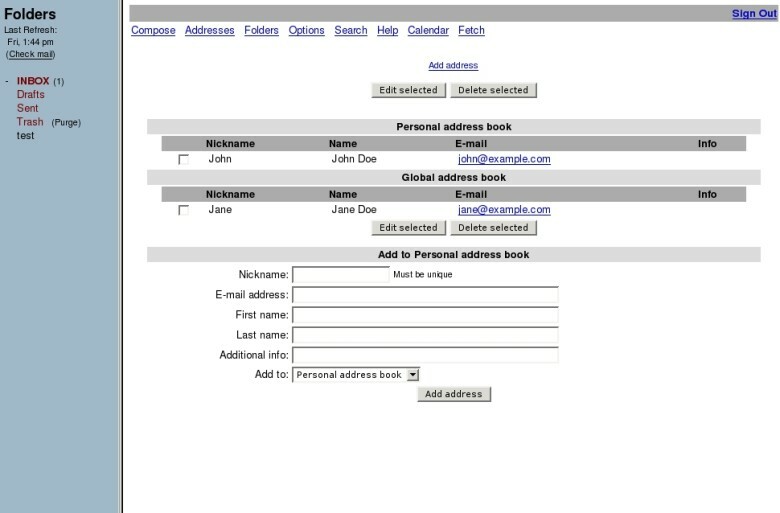 Users can store email contacts in personal and shared address books. 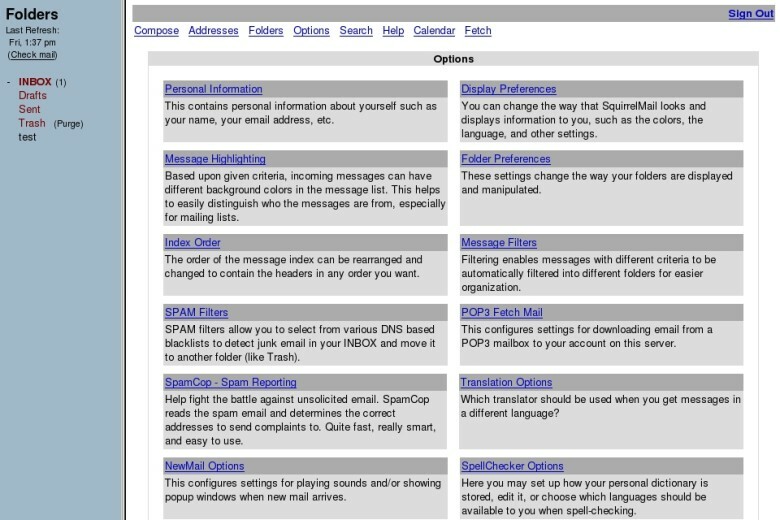 See also SquirrelMail theme previews. 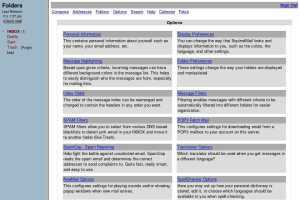 You can find other screenshots in screenshots section of SquirrelMail SourceForge site.